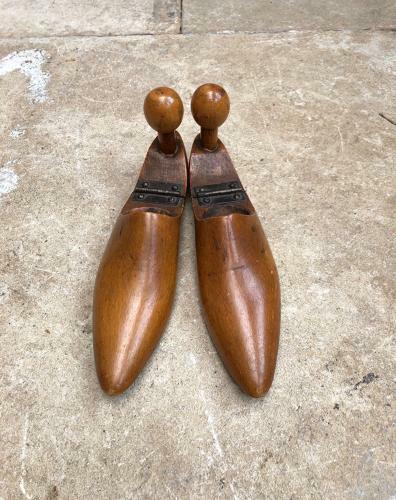 Superb shape and lovely condition Late Victorian ladies Size 6 treen shoe trees. Both have a number 6 stamped by the hinges. They look so small...how narrow their feet were...underneath on each one is No.33. Great to display just as they are.